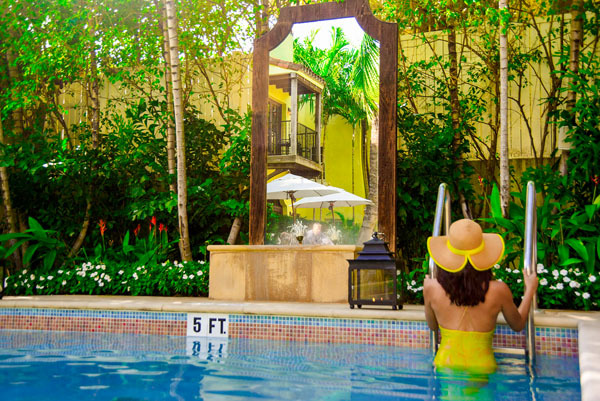 Experience the pleasure of an elegant Spanish oasis, without having to leave the country. 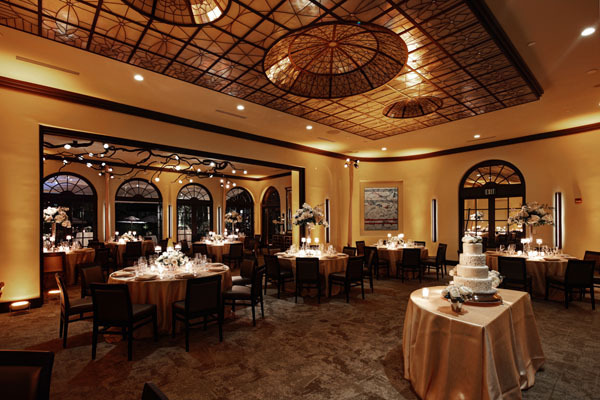 The exclusive Brazilian Court Hotel is located in the charming hands of Palm Beach, FL. Just steps away from the beach and Worth Avenue that’s home to ultra high end luxury boutiques and galleries, this hotel really is in the heart of it all. 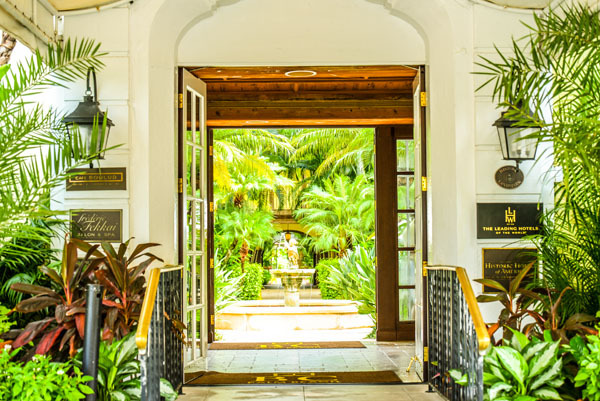 The elegant Spanish Colonial architecture contrasts effortlessly with the lavishing flora that wraps the establishment in a blanket of opulent green. Fountains offer a pinch of extravagance, further adding to the intimate and private atmosphere. 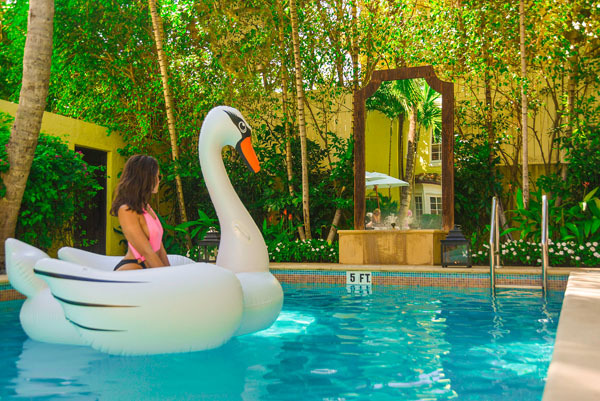 With only 80 rooms, guests can expect to indulge in a private retreat, with the impeccable service of a hotel. The glamorous Roaring Twenties lives on in the décor of the hotel, as the rooms are fit for Gatsby himself, and Daisy if she ever decides to leave Tom. The voluminous pillows and charming bed linens pair well with the furnishings and architectural elements of each room. 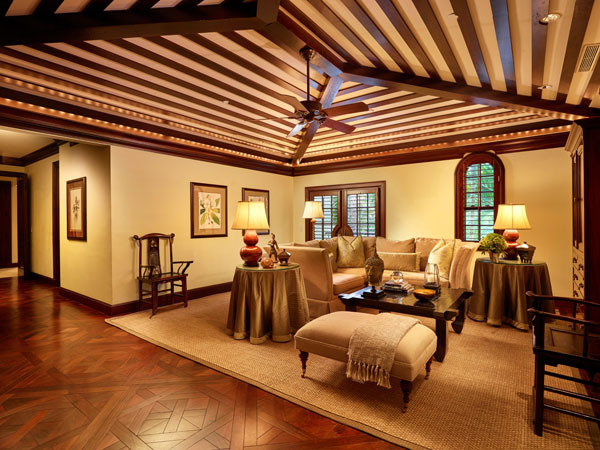 The mahogany crown molding, hand-forged, English, oil-rubbed bronze fixtures and colonial style wood shutters will make any guest feel spoiled and important as they live like Spanish royalty. Studios, one, two and three-bedroom suites are on offer for guests to choose from. All rooms are equipped with tapestries; flat-screen plasma LCD TV’s and ultra air-jet bathtubs with customized hydro thermo massage menus. Private terraces open up to a secret tropical jungle, offering the perfect breathing space as the day dwindles. Revel in the unprecedented offerings of fine food from Café Boulud, Chef Daniel Boulud award winning restaurant. The sleek contemporary design, reiterates the concept of glamour, and class, as French cuisine is part of the offerings at this fine eatery. With a newly expanded 15-seat bar, visitors can enjoy their favorite cocktail or beverage while adoring the posh lighting above or the dramatic wooden aspects in the ceiling that ties in unexplainably well with the wooden floorboards. Neutral color tones; warm wood flooring and a ceiling made from seashells occupy the room effortlessly and tie in the tropical ambiance. As for the menu, patrons will find exemplary French classics like the escargot and steak tartare, but also new additions such as blackened mahi and swordfish, to highlight fresh regional seafood. The freshest and seasonal ingredients are featured in all dishes, as the 3-star Michelin chef assures that all dishes are made and presented with sophistication. An expertly selected beverage list will delight all diners, as they are offered varietals from all over the globe. To complete the luxury experience, The Brazilian Court Hotel also boasts an exclusive salon, by renowned celebrity hairstylist Frederic Fekkai. 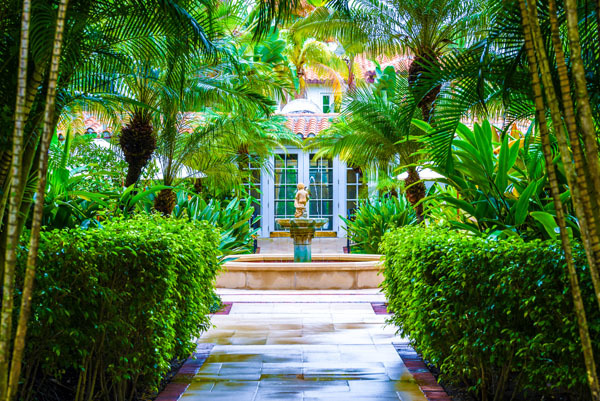 The 1,600-square-foot space salon is a sanctuary in the heart of Palm Beach. His unique style and reputation for excellence proceeds him as guests are offered an array of services from simple haircuts and blow outs to manicures, pedicures, make up and facials—Just to name a few. The deep tissue massages will get rid of any pesky knots caused by stress and tension built up over the year. Relax and unwind with a 30-minute reflexology massage, which uses a technique on reflex points to stimulate and rejuvenate. The eight-styling stations and two treatment rooms, an intimate environment ensures comfort and convenience while being primped and pampered by only the best. Be the envy of the streets, after strutting down Worth Avenue, sporting a new do and rejuvenated, luminous skin. The Brazilian Court Hotel offers a world of elegance, with a touch of royalty.